Running provides a superior cardiovascular exercise. There are very few other activities that can burn such high levels of calories consistently. But, as with all activities, there are disadvantages. A big disadvantage to running is the wear and tear it inflicts on the body, especially bones and joints. The constant impact of the running to pavement or treadmill is hard on the body especially because running requires more forceful impact in order to maintain higher speeds. This impact gradually deteriorates bones and cartilage at the joints that is meant to protect bones and connect them together. This issue usually leads to major issues and surgeries down the road, like hip replacements which will not only stop you from continuing your runs temporarily or permanently but will also stop basic functions for a while during the healing process. A way to prevent this or at least defer it is investing in proper runners. Proper runners will help decrease impact on the bones and joints, they will help support ankles and many other important protective measures that will ultimately lead to fewer issues later as well as a more enjoyable run. This is a single product review. 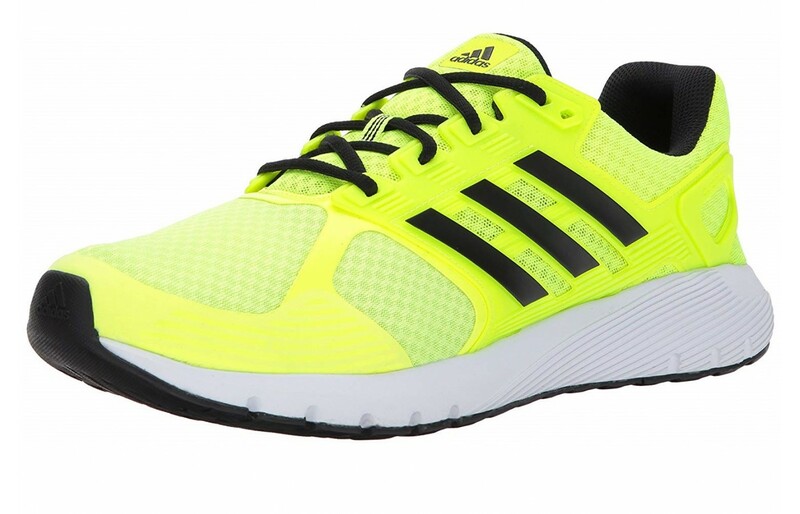 We are reviewing a running from the very popular brand Adidas. This review is specifically on the Duramo 7. Adidas was started in 1924 by Adi Sassler in a small Bavarian town in Germany. It is now arguably one of the largest sports gear companies in the world, so big that it is traded under its own name on the New York Stock Exchange. Adidas is a highly reputable brand due to its attention to detail and its fashion-aware attention to detail. Many people, even those who do not participate in sports, sport (for lack of a better word) Adidas apparel. It has become a household name in sports gear and fashion. But what we want to focus on is the performance of the shoe, when used as a running shoe and less so as a fashion accessory. We looked at materials used, the shoe construction and consumer reviews in order to compile an accurate view of this runner to get an idea of it is worth the buy for the purpose of physical activity. This is what we found out and we hope it is helpful for your next purchase. This runner is basically ventilated air mesh and laces. The design is quite tight and seamless. They are designed for running. The mesh helps the foot breathe as well as the perforations at the back and side of the shoe. Those who ran in the shoe found that the shoe breathed just fine and they didn't experience any issues when running that were related to overheating. The perforations help increase airflow better than just mesh because it will encourage cool air to flow in through the top of the shoe through the mesh and push out hot air from the base of the shoe through the perforations. When looking for a runner that has increased airflow and breathability, perforations should always be considered. Lack of breathability will cause sweat build up, which on its own is uncomfortable but can also cause blisters, calluses and slipping which can cause a more difficult run (and not in a positive way). These runners are more of a mod-style runner. They have the impact-absorbing ADIPRENE foam which aids in impact absorption and will help with both the short term comfort as well as the long-term comfort of the run (after the run, less pain especially for those with existing bone and joint issues). 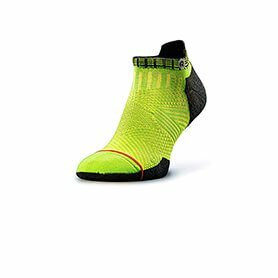 The runner itself has an EVA sock liner which provides more comfort and support to the heel, arch, and ball of each foot. The upper of the shoe is seamless as well which helps the top of the foot feel more comfortable even for those who like to keep their shoes tied especially tight. They are breathable due to the mesh and layered top which will keep the foot cool and dry. The sole of the shoe is made of a synthetic rubber which keeps the shoe lightweight as well. Those who wore the shoe liked the shoe, the comfort wasn't an issue. The one concern is that despite the upper of the shoe fits well, the sole did not. It seemed to be a bit thin for those with average to wider feet and when sizing up the insole did not surround the foot like a more expensive shoe typically would. Though no blisters were formed some who wore the shoe found their foot sliding around in the shoe more than they've experienced with more expensive models. There were very little mentioned about the waterproofing of this shoe, even on the company website. They are not designed to be worn in more rugged conditions. 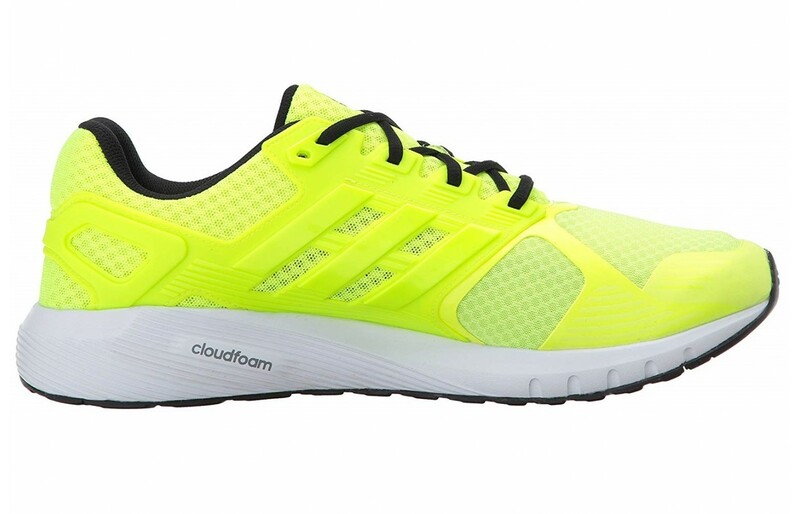 This shoe is a simple running shoe meant for city running. They do however have proper ventilation to provide better airflow which would dry off the shoe faster than those with less ventilation. Waterproofing though, overall, does not seem to be considered when producing this shoe. The insole of this product cannot be removed which is a little unique to runners. Most insoles are removable in case the runner needs specific orthotics in their shoes. If this is something that is a concern to people with orthotics, right away this shoe would be immediately passed on, unfortunately. It is also an issue for those who prefer to use their own insole, of course. The insole has an EVA sock liner which offers additional comfort and support to the foot. This shoe fits particularly tight due to its seamless and narrow design. It looks sleek, however, as a result, the shoe does fit a bit smaller and may require a size up. In addition to the shoe itself fitting a little narrow, the insole is often reviewed as not hugging to the foot. This runner is often referred to as a 'discount' runner which basically says that it is a good runner but it isn't as good as more expensive models. The lack of 'hug' to the foot causes a little bit of sliding but doesn't cause blisters which is positive. This may just impact the accuracy on the step which sort of kills the advantage of the tight upper. The upper on this product is quite thin and seamless. It fits tighter to the foot and looks a lot less clunky than standard shoes. They fit tight to the foot and look a lot more attractive while on and laced. The laces of this product are on the thicker side and due to the thin upper the laces kind of take over the top of the shoe. It does offer a closer fit which will help with stepping accuracy so it really isn't a disadvantage but possibly just a preference for some runners. The upper also offers perforated overlays and they are also fully bonded which some may find favorable. Outside of the oversized laces, the rest of the upper is mesh which would make the shoe more breathable for those who run in warmer climates or have especially hot or sweaty feet. The sole of this runner is molded-EVA which is very common in this type of shoe. It has is low impact with the Adiprene cushioning which offers better impact reduction. Those who wore this runner found that the impact of each step was lessened due to the additional cushioning and they could go for longer runs as a result of it. Some did find that the sole did not stay connected to the upper as long as comparable models and it does seem that this shoe is not a life-long runner. It seems that due to its 'discount' price that the shoe is better as a temporary one. 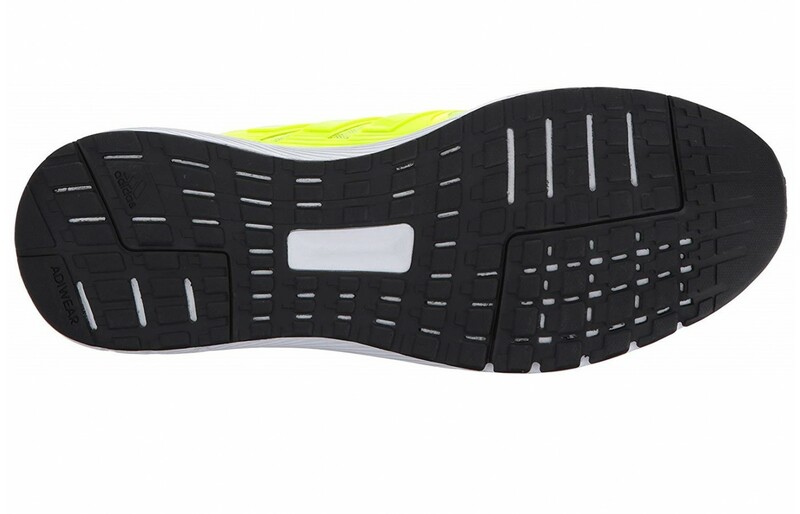 These runners have continental rubber soul which is supposed to grip better in both wet and dry conditions. There isn't a lot of information on the traction of these shoes. They weren't being used to climb over rocks or do mountain hikes so traction wasn't mentioned much. There weren't many (if any) complaints or compliments about the traction on this product. There were people who used the shoe for short runs and long runs and comments were more inclined to discuss the comfort level of the shoe over the actual performance of it. Continental rubber is supposed to be fairly 'grippy' and is often used on tires. For its well-known stickiness the track on these runners shouldn't cause any issues, however, should probably be reserved for road and city runs over backcountry and mountain ones. These runners are quite attractive in design. They come in numerous colors and have the classic Adidas stripes on the side. 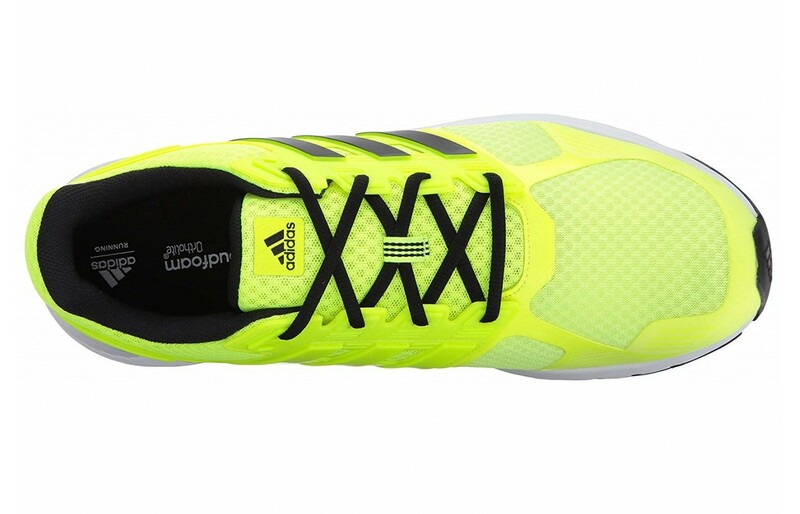 They fit tighter to the foot (the upper does) and have a standard lacing system with thicker laces. They are narrow which is an issue for average to wider feet, however, do make the shoe themselves look very sleek and less clunky like some runners look. They nearly entirely made of mesh with a rubber shoe and toe bumper. They are mod-style meaning that they are a little more modern and fashion-forward in design. Overall this product is a good looking one. Adidas is known as being fashion-forward so this shouldn't be a surprise. The material shouldn't stain when wet as there is nothing on the shoe outside of the laces that absorbs water. The only issue that may come up is some found that the toe cracked easier than comparable models which would destroy the aesthetic of the shoe. If they are being worn during light activity, this shouldn't be an issue. This runner is quite inexpensive and is often referred to as a discount runner. They may be better suited for beginners or teenagers that would go through runners faster than the average person. They are made of good materials but there seems to be some issues with the fit of the shoe. Those who wore them said that they were particularly snug and required a size up. It fits close to the foot due to the seamless upper and the lacing system but unfortunately, the insole and footbed don't. There seems to be significant room in the runner which caused some unwanted movement in the shoe. This would impact the accuracy of the step when running or walking. Many deemed this why the shoe is so 'cheap' for lack of a better word. The shoe itself is attractive and can double as a walking shoe. For those on a budget who are not going to be using these for serious runs, this product will work just fine as they are truly a steal of a deal. However, for those looking for a superior running shoe, paying a little more for something that fits correctly may be a better idea. The bottom line is that this shoe is ideal for those on a budget or for those who are still growing. It is not a forever shoe. It is stylish in design and would look great running on city streets or walking around the mall. There were many people who ran marathons in them with little issues as they are quite comfortable outside of the issues listed above about the lack of hug in the insole/footbed. They will more than likely only last a year or two, however, the price is right. Overall this shoe is probably not meant for professionals and definitely would not be ideal for those running on more rugged terrains but is definitely a steal of a deal.